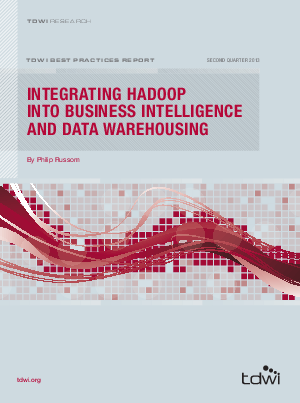 This TDWI Best Practices report explains the benefits that Hadoop and Hadoop-based products can bring to organizations today, both for big data analytics and as complements to existing BI and data warehousing technologies. It also covers Hadoop best practices and provides an overview of tools and platforms that integrate with Hadoop. Sponsored by Pentaho.